← An Anniversary Story. Sort of. I went over to my Dad’s house this weekend. The Brat spent the weekend, while I went to visit The Boy in NorCal. Which. He does. I didn’t even have to ask him. Which is fine, since, he wasn’t there. And it takes us some time to figure out how the hell we’re going to get it in my carrito. We decide to roll it to my car. Which, easy enough. HOW TO GET IN INSIDE MY CAR was another matter. We decide that we’re going to wrap it in some rags and I’ll sort of help her pick it up and put in in the backseat. We finally wrestled it into the backseat and then I drove home (but not before stopping my my cousin’s house to pick up me and The Brat’s souvenirs from her trip to Hawai’i). If you’re going to rest a huge ceramic pot that contains a cactus on your legs before boosting it all the way into your car, you should make sure that the part you lean on your bare leg is the pot. 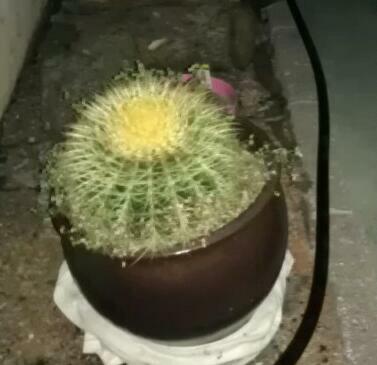 NOT THE CACTUS. If I call you and tell you that I have something that’s heavy, that I’m going to need you to get out of my car when I get home, YOU SHOULD FIND OUT WHAT IT IS. ESPECIALLY if it’s covered in rags. Otherwise, you may find out the hard way that I have a MOTHERFUCKING CACTUS hidden under a pile of rags in my backseat. I laugh inappropriately at everything. *Yeah, you didn’t think the stepmother got away unscathed did you? This entry was posted in Things that happen only to me. Bookmark the permalink.